How Much Are You Helping People With Your Tech? Does your technology help someone? In some basic sense it probably helps in some way, even if its sole purpose is to provide escapism. But when you see something that could possibly change the way that someone lives their life, there is something that resonates about it. Every time something comes along with this potential it definitely reminds of what the true purpose of technology is. Gadgets and widgets are cool, and all the novelty items are interesting, but what kind of change are they going to bring about in the world and in anyone’s life. A lot of tech seems in many ways to have plateaued, and the forward movement in those fields is purely measured in terms of scale – what is the storage capacity, the processor speed, the size of the object? After the i-pad became part of the landscape, the various iterations of it lost something of the novelty value that they had. PC to laptop, to tablet, to phablet, to phone, to various sized hand-held or maybe a leap to wearables. One thing is an analogue of another thing, is a scaled up or scaled down version of something else. The excitement factor seems exaggerated when the muted design equivalents of wheelspins in a cul-de-sac are teased out to fill a news cycle already bloated with nothingness. 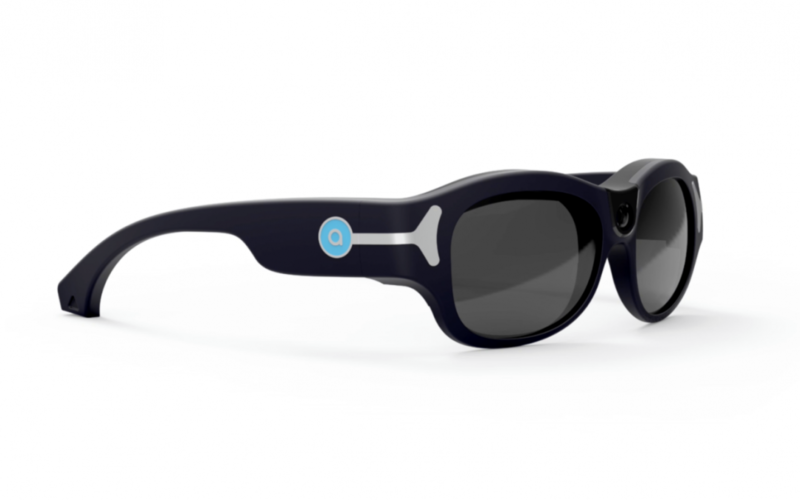 These glasses from Horizon, with their potential to change the way that blind people navigate through a space, seems somewhat basic presently – allowing a guide to see where the person is, and then to communicate to them about their surroundings, but just think what that means to someone who may be using what constitutes a very basic means of navigation, such as a stick or sonar, and it represents a move from third party solutions that Horizon has bolted together, to a pair of smart glasses that they have built from the ground up with their users in mind. The glasses integrate a 120-degree wide-angle camera, which helps the guides get a fuller picture. It is controlled by physical buttons and can be routed through the mobile app. They are also developing a digital assistant for the set-up. This kind of innovation, that helps people to function more fully in the world at large, and to overcome any obstacles they may have, really is where we should be focusing out attention. Working to cater to necessity rather than convenience would mean that we would be helped where we need it and not encouraged to become lazy by having things done for us that we are completely capable of doing ourselves. If technology situates itself at the border of the territory where we are unable to venture and helps us to conquer that space, it will really be doing something useful. Reinforcing bad habits that cause people to develop an unhealthy relationship with their technology is not a great idea. Apple’s push to help those in education is a great example of where the focus should be, and with more companies doing this, or developing products like these glasses, a better future really can be built.